Candidate Educational Qualification : Bachelor’s degree in Computer Science or Engineering, and a Master’s degree in Engineering or Management from reputable institutions are required. Bachelor’s degree in Computer Science or Engineering, and a Master’s degree in Engineering or Management from reputable institutions are required. Very good knowledge in InstallShield InstallScript project. Hand-on experience in developing scripts in the Package Maker/Wise installers and Mac software packaging is an added advantage. Exposure to any/all of the source control systems – Clearcase, CVS, SVN. Strong expertise in in Perl, Shell scripting. Extensive background in Windows Commands and batch scripting is a must. Working knowledge in Mac OS is a definite plus. 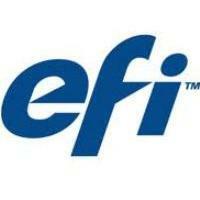 EFI provides a work environment that offers world-class software product development challenges in the fast paced industry of high-speed digital color printing. In addition, we offer employees competitive compensation and rewards, and an environment that thrives on open communication, leadership and unparalleled teamwork.